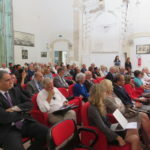 From September 24th to 25th, The Siracusa International Institute for Criminal Justice and Human Rights and the International Association of Penal Law (AIDP), held a high-level conference on “The Legacy of Professor M. Cherif Bassiouni: Criminal Justice and Human Rights” at the Siracusa International Institute’s headquarters. 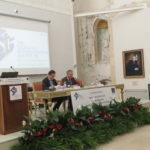 In the opening ceremony, participants were welcomed by Judge Jean-François Thony, President of the Siracusa International Institute, and by Professor John Vervaele, President of the International Association of Penal Law. The conference was divided into three sessions. The first, introduced by Judge Christine van den Wingaert, focused on International Criminal Law and its relation to Transitional Justice. The second session, introduced by Professor Katalin Ligeti, concerned International Cooperation in Penal Matters and dealt with the enforcement strategies against terrorism financing and corruption. Professor William Schabas introduced the third and final session on Human Rights and Criminal Justice, dealing with fair trial and victim rights among other matters. The conference was dedicated to the memory of Professor M. Cherif Bassiouni.